The absurdly gorgeous model Karlie Kloss is one of the few models (Tyra excepted, obvs) who I still enjoy following on Instagram. She posts lovely pictures and every so often something particularly desirable pops up. Yesterday it was her looking ravishing in flares with news that she is doing a range with the American jeans brand Frame Denim specifically for tall women.And when I say tall, I mean tall - her flared and skinny jeans will both have a whopping 40" leg. NOT BAD KLOSS. Although both pairs will cost north of $200 from Net-A-Porter in June. I had a little bed-based Google of this story and found a piece in Vogue that was simultaneously lovely (tall jeans!) and utterly mindboggling. Kloss is 20, yet says that before she started catwalking in 2007 and got clothes that fit, she would pin herself into jeans with long legs and equally long waistbands. That was something I was doing in the 90s! By 2007 we had Topshop Tall jeans. Did America seriously not? It was also a bit gutting when Frame Denim's Jens Grede says, "Nobody has ever done this before. It’s not just a case of making jeans longer; the entire proportion changes and denim factories had never cut that way before." Well, duh. Of course it does, but really, this is utter nonsense. Loads of premium denim brands do long leg jeans now, and the old standards have been doing it for years. When Karlie was five-years-old (excuse me while I weep) I lived in a pair of Levis with a 36" leg. Lucky old me! Aaaanywho, enough about me and Karlie and Americans not knowing about the existence of jeans. Here is a small round-up of jeans that I have found reliable over the years, and a few extra - apols for not going massive on designer jeans, but I've sadly never had £200 to spend on trews. Or at least that I've been *willing* to spend on trews. If you have a favourite brand that you want to tell our other DS tall girls about, shout in the comments. Topshop Tall: In utterly PHENOMENAL news, the Baxter jean is back in Topshop Tall. I absolutely live in my blue and black pairs, with occasional flirtations with my black Leighs when my legs are feeling up to it. Utterly essential jeans that should be in every tall women's wardrobe - if only they could decide on whether they want the leg to cut off your circulation or just be normal. 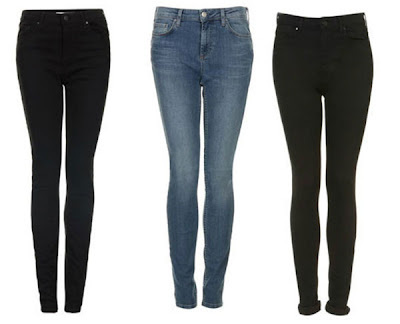 Topshop periodically do 38" leg jeans, but it seems to be on their whim. Bodymetrics: I've been dying to try the Bodymetrics Scanner for years, and even more so when I read the Denim Blog did of it up a couple of years back. You basically strip to your knickers and have your body's size and shape scanned before being united with your perfect pair in store. They are relaunching in Selfridges this Spring, but I didn't know they also opened a permanent outlet in New Look's flagship Oxford Street store last November, so a double trip is going to be in order. Although New Look's Tall range is now restricted to online, so that might be one I leave to my less bountifully-legged chums. Long Tall Sally: LTS's own-brand jeans have always been a little loose for my liking, even on their Camden skinnies. You can't fault them for imagination though, and as well as a colourful variety of jeans in various lengths and cuts, they curate an ever-changing selection of posher brands, such as Not Your Daughter's Jeans, J Brand and Silver. Tall Girls: This great store has vastly expanded its denim collection this season. As well as stocking the amazing Dream Jeans, and Power Denim, it has everything from bell bottoms to skinnies in a bajillion different colours, and up to a 38" leg. Their pop-up shop comes to Regents Park in June, and you can order in clothes especially to try on there. Levi: Annoyingly, Levi's website now only offers jeans up to a 34" which rather squashes my 15-year-old glee. 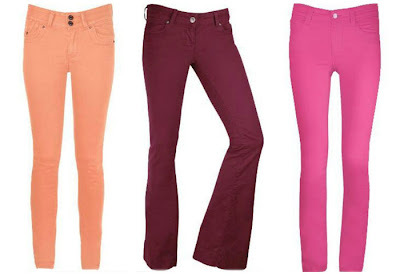 But I will include them here because they have some excellent colours, and I am aware that some girls with 34" legs still find it hard to find jeans they like. Lanky Jeans: These cover women with 33" to 35" inside legs and offer Lee, Silver andWrangler (I know, so 90s! But actually doing nice jeans now). Gap: Gap's UK website is utterly dreadful. The tall fit guide redirects to an error page (as does the petite one for that matter) and it looks like it's been designed by a hoarder from 2002. But beyond that, Gap's jeans are excellent. Some come in a 35" length, so ask in store and order in if necessary. AMAZING NEWS ABOUT THE TALL BAXTERS!!!!!! My favourite black pair (weirdly I have three pairs of 32-36 black and they all fit completely differently) just went in the thigh and I was in complete denial as I couldn't face the reality. But now I don't have to!!!! And yes to those jeans all fitting differently. I think that goes for Topshop in general (and why I never buy online from them). It's as though a drunk has been let loose with the patterns and a stapler! Ooh, also just generally great and interesting post - thanks for continuing to be source of exciting new Tall People Clothes! I always find at least something at the H&M. Agree with the Levis comment, hardly I saw they have anything for tall people! Will check out GAP's dreadful website, if they fix it! "Oh, nothing. Just jumping in the air and doing a funky ballet move IN MY SKINNY JEANS." She looks phenomenal. Excitingly, I found a pair of jeans in Sainsbury's last week! I was shopping for a cauliflower and thought I'd amble past the "Gok" clothes section...I normally get a 36" leg from LTS (on the occasions that the catalogue doesn't fill me with despair) but managed to get a pair of "long" Gok skinnies that fit. I'm not sure if this was a fluke and I randomly got a longer tha usual pair, or simply a combination of the fact that they are a quite low-slung waist and that you can get away with a slightly shorter leg with skinnies on the basis that you don't want them trailing the floor in the same way you would with wider fits. They're pleasingly snug (my bum looks very pert, even if I do say so myself and that is definitely the jeans and not the fact I've started the 30 Day Shred DVD, in spite of my hopes on that front) without cutting off the circulation and have sufficient stretch to enable a large curry to be consumed and to still feel comfortable. Hurrah! This is SUPERB news! Sainsbury's, of all places: not that there is anything Gok can't do. @Vicky Hurray for H&M, I get so many tops and cardigans from there. I've never found long enough trousers, but I will certainly look again next time I'm in! I was a little disappointed with Gok, however - whilst this particular pair of jeans were pleasingly long, one of the tops that I tried on was long enough only for a child, barely covered my belly button and would most certainly not have been decent to wear after a large curry was consumed. On the Tall Girls front, I went to their pop up shop last year and tried some skinnies on but fell out with them on the basis that the length was perfect but I couldn't breathe in the size 14 and have been too scared to order online in case I couldn't actually get into them. I should probably persevere with their trousers though, particularly given the joy I had from discovering their non awful maxi dresses as a result of the DS post last year (and indeed, the ace flowery beach dress (with girls in bikinis as well as flowers which arrived at my desk this morning and caused great excitement). I've posted this before but Next online do long-legged lovelies jeans-up to 36 inchin their Tall range. They do a good range and are cheap. My last pair of 'slim'jeans were vintagy and twenty quid I think. I also have their Tall range black leggings and they are very good too. White Stuff's leggings are expensive but long and good quality. I am 46, so when I reached 5' 11" by the age of 12, with a 36" inseam, my only real choice was to wear skirts (mini's beame my trademark look lol). When LTS first appeared I was one of their earliest customers, but with their prices I could only ever get one pair a year and then wore them until they fell to pieces. I also had an old pair of Levi's that fitted and I loved for many years! These days I have Next Tall range jeans, and still have a couple of pairs of LTS at any given moment. I tried Tall girls and didnt like their jeans prices, but do have yoga pants from them that I bought in their sale. On the plus side, I pretty much still wear the same size jeans I did when I was 18, so I dont need to by everything in 3 different sizes like some of my friends do..maybe its because if we gain a stone we have more to spread it over? Thanks for these articles, it would be great to see something like "How to wear the latest trends if your 6 ft tall" type stuff. Confession time - I can't stand trends. I stay well away from them and just wear the stuff that suits me, otherwise you just end up buying a load of stuff that you don't wear a few months down the line. Would you like to give me some specific examples and I'll get onto that? I foresee a large chunk of money this spring going towards the UK (frustratingly, less to the shops and more towards the shippers) if I can find a few of these that even WILL ship to the US. As a gal who hit 6 foot slightly ~before~ my 12th birthday (it was a rough summer for dad. I went from being his little girl to shooting up to 6 feet AND a DD bra. Dad... stressed a lot.) it's been a struggle to find clothes that simply cover me, let alone look good. At now 6'2, and a 34DDD (was once up to a 44HH) I already have to order my bras from the UK but if the jeans will actually cover my legs? I'll pay the price. Because here the the States, 95% of the supposed 'Talls' are still showing a good 4-6 inches of ankle and leg. Not sure how it is judged in the UK, but I've been told by loads of managers who have frostily informed me that here, in the US, "Tall" is based on the overwhelmingly tall height of.... 5'9. And that's the TRULY tall versions, most women are apparently considered unusually tall at 5'8. I've had surreal conversations with clerks who angrily insist that there is NO WAY I could be having problems getting their pants to fit, they are the longest you can get, their tall friends have to ~hem~ them they are so long, and when I pull on the pants and walk out of the dressingroom I am met by splutters and disbelieving expressions. In one shop? I was informed, frostily, that it is totally unbelievable that I would expect stores to accommodate people who refuse to be helped. I left the store with the odd feeling that I was either supposed to have my shins removed or my mom was supposed to have smoked heavily while pregnant - but SOMETHING to prevent myself from being so willfully and stubbornly freakishly tall. I've also been informed I must be a man in drag because, simply, women don't get this tall. (I seriously feel for an older cousins - one's 6'5 and another is 6'3. I'm the 'shortie'! Off to encourage your economy with my wallet and a hope. But if this fails, I will at least have some good pictures to work some patterns out from. I had to learn to sew & patternmake to handle being so outside of the norm and I'm even taking a jeans class to learn all the tricks to make home sewn jeans look professional and store bought. Worse case, I'll have some good images to aim for so thanks! Baves66 is right: there are two Long Tall Sally stores in the States, one in Detroit, and the other in Bloomsbury MN so you could very likely be able to order clothes from the States, rather than the UK. As does Long Elegant Legs (http://www.tallwomensclothes.com/) which looks as though it might be your online version of our Tall Girls. Im sure LTS have American branches, I seem to remember them talking about it a few years ago (and no, I dont work for Long Tall Sally) maybe try a search for them? It would save on your shipping costs at least. And I think in most stores here, stamdard is 29" inseam, long is 31 or 32 depending on the store, extra long is 33" or 34" ( I can occasionally get awat with "normal stores" extra long), but usually have to go for either the Next tall range (36"), Topshop tall, or one of the specialised stores like Long Tall Sally.